Taglines: The less you know, the safer you are. Hank Garrett, who plays the mailman whose pen runs out of ink, played essentially the same role in Three Days of the Condor. Factual errors: In two of the early scenes of the chessboard coffee table, the pieces are set up wrong. A player always has a white square in the lower right corner. Later, when the characters are playing a game, the board is set up correctly. Mace: What sort of name is 'Andi' for a girl? Andi: It's short for Andrea. What sort of name is 'Mace'? Mace: It's short for 'in your face'! The concept of making the audience wonder whether the hero is really being threatened or is the victim of delusions, has been used several times recently. 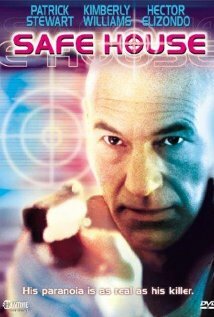 I enjoyed this take on it better than most and I love Patrick Stewart in any role! I hadn't expected it to be so heart-wrenching at times, but it was. One scene, in which Mace (P.S. )is doing a cognitive test for his doctor, was particularly effective. As a result, this was not only a suspense movie it had some very realistic portrayals of the slow but steady mental decline of Alzheimer's victims--and how tragic that is, as they realize it is happening. I think I appreciated that accurate and informational aspect as much as I did the mystery of Mace's activities with his complex computer set-up. I watched this while walking on my treadmill and usually do a movie in two sessions. This one kept me going through the entire time.